There’s nothing like some freshly cut papaya to take me back to my 8-year old self, still living in Mexico. Its richness and almost creamy texture is all I need to put me in a good mood. 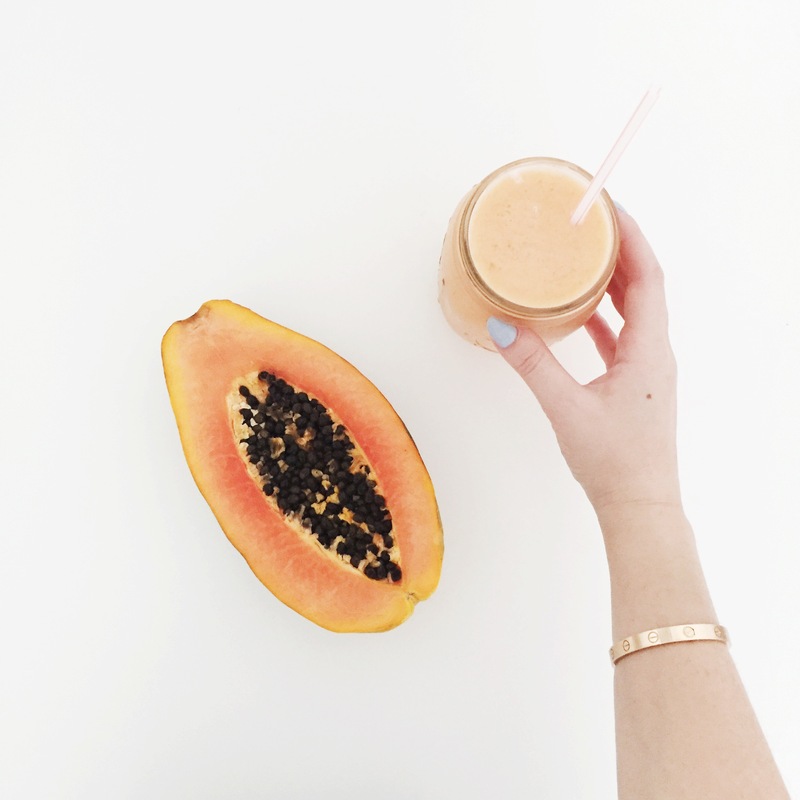 But how much square-cut papaya can a girl really eat? So I tossed it in a blender with other tropical foods and created a delicious breakfast smoothie. Not only was it tasty and super satisfying, but it was a great antidote to this severely hot summer day. Peel the papaya, cut in half and remove the seeds. 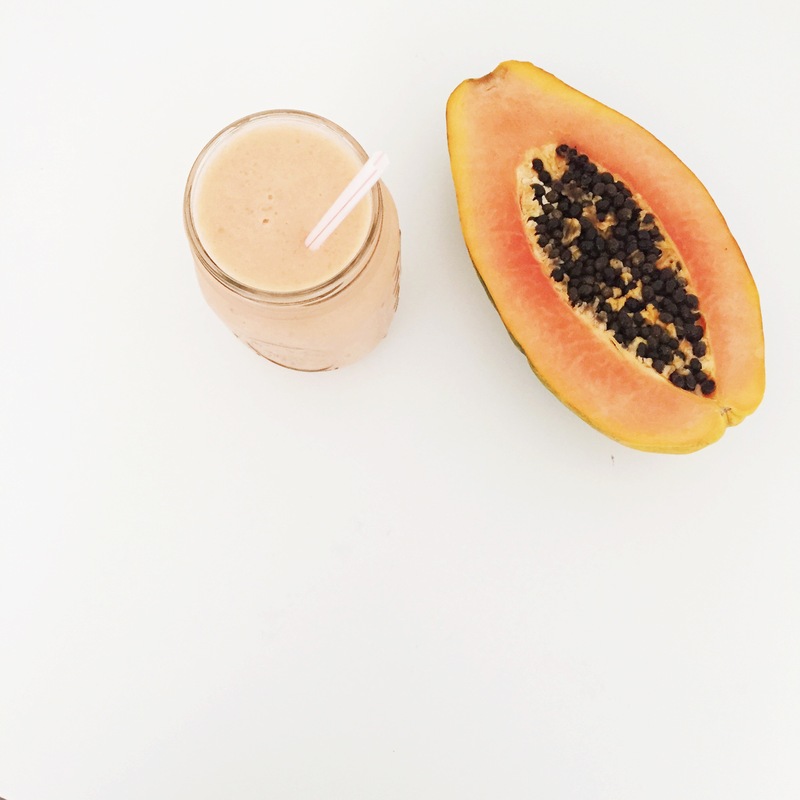 Blend the papaya, banana, milk and ice. Pour it into a cup, add chia seeds, stir with a straw and ENJOY!